The July issue (vol. 2, issue 2) is out! 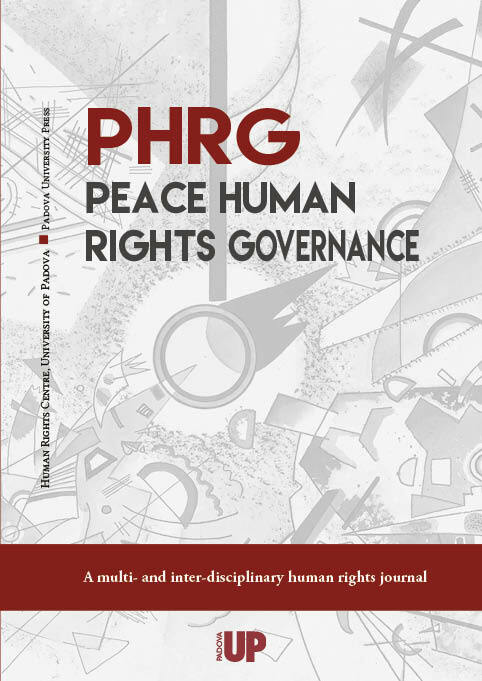 PHRG's second issue of 2018 has just been released! The deadline to submit research manuscripts for the November issue of PHRG is Monday 10th September 2018. The new volume of PHRG (2018) starts with a rich March issue! The new issue of Peace Human Rights Governance, the first of 2018 has just been published on this website in open access. It contains a guest editorial article by Professor Koen de Feyter (University of Antwerp) and 5 research articles. To be considered for publication in the next issue of PHRG (July 2018), manuscripts should be submitted by 5 May, following the manuscript submission instructions.